For the New York Giants, finding a way to address multiple needs on both sides of the ball will be essential in this years NFL Draft, and it might cost them a potential future franchise quarterback. General manager Dave Gettleman is not afraid to trade back in drafts to stockpile picks, but he’s also willing to take a top quarterback if the opportunity presents itself. The question is: Does he have enough faith in Eli Manning and Davis Webb to pass on Josh Rosen or any of the other premier level signal callers entering the NFL? What does Sports Illustrated writer Peter King think? Other positions of need for the Giants are linebacker, offensive line, and potentially even running back. We can predict a potential trade back that would allow the Giants to find a top-level lineman (Mike McGlinchey, Orlando Brown, Quenton Nelson, Billy Price). 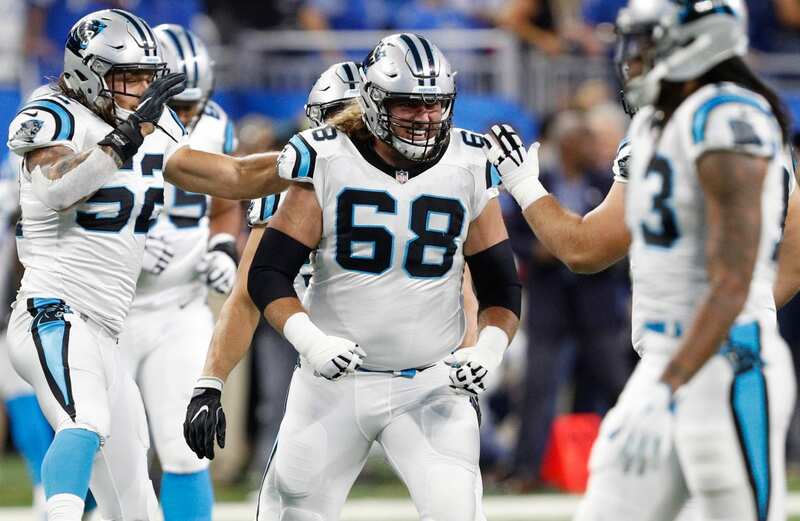 With the consensus being that the Giants are on the verge of offering Andrew Norwell a maximum contract to play guard, we should expect to see a tackle taken in the draft, since we surely can’t expect Ereck Flowers to hold down the fort at left tackle. The question is, when and who? There’s no doubt Gettleman needs to address the offensive line, especially if Manning will remain the starting quarterback for the foreseeable future. If Norwell receives a lucrative deal, the only other way to address the line will be through the draft, so that can be considered a near guarantee.